VietNamNet Bridge - Steel, fiber, household-use products and electronics in Vietnam are vulnerable to anti-dumping and anti-countervailing duties imposed by other countries. According to the Ministry of Industry and Trade’s (MOIT) Trade Remedy Department, some WTO-member countries have intensified the use of safeguard measures such as anti-dumping and anti-countervailing duties to restrict imports and protect local production. It cited a WTO report that said from May to October 2018, G20 member countries initiated 63 anti-dumping, 19 anti-countervailing and three safeguard investigations. 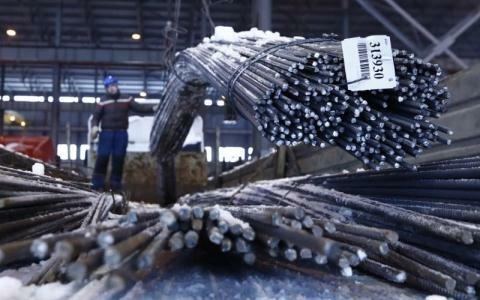 The agency warned about the increase in the number of anti-dumping cases against Vietnam’s exports. As of November 2018, importers had initiated 19 investigations of products from Vietnam. The products were mostly steel, fiber, household-use products and electronics. In most cases, Vietnam’s products were judged as having avoidance behaviors, and as a result, safeguard measures were applied against the products. Other products of Vietnam are also at risk of being probed for safeguard measure avoidance, including plywood exports to the US and truck and passenger car tires to the EU. The US and a number of other importing countries allow importers to make declarations and certify the origin of products, so it is possible that fraud is being committed outside Vietnam. The MOIT and the Vietnam Chamber of Commerce and Industry (VCCI) have discussed measures to strengthen the examination and supervision of the granting of C/O (certificate of origin) to export products. MOIT has also joined forces with the General Department of Customs (GDC) to keep watch over export activities to discover forging of Vietnamese origin. Commenting about safeguard measures, Vo Tri Thanh, an economist, said to some extent, safeguard measures can have a positive impact. In today's volatile world, the state and businesses need to anticipate risks and be thoughtful about planning strategies and seek new export markets to avoid medium-term risks. Vietnam also needs to adapt to the trends and policies related to protectionism and extremism which are expected to continue. It needs to make carry out structural reform to adapt to these new conditions, he said. Bui Quang Tin, CEO of Bizlight Business School, warned that some countries may follow other countries’ moves to investigate Vietnam’s exports. The information about Vietnam’s goods in foreign markets is limited, and the production capability of enterprises remains weak, he said. He thinks Vietnam should also use trade remedies to protect domestic production against imports. The measure seems to be ignored by Vietnam’s enterprises, he added.